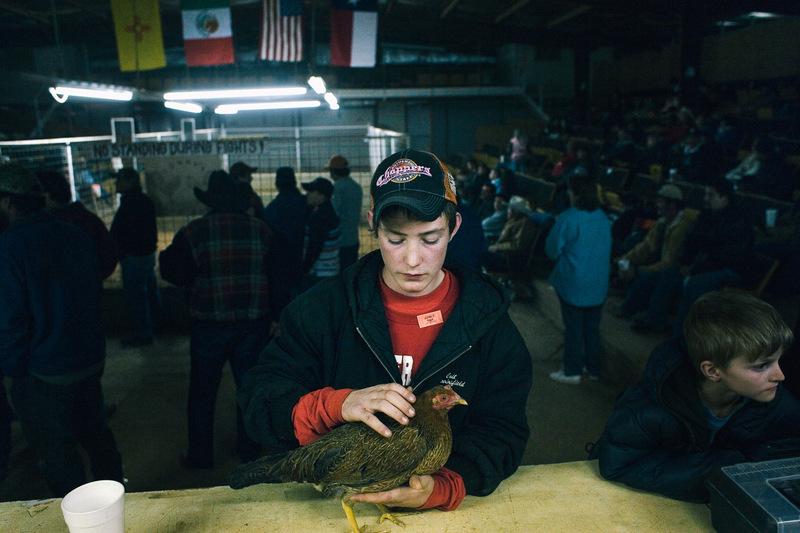 Photo by Rick Scibelli, Jr. / for The New York Times\nDESK: NATIONAL\nSLUG: RICHARDSON 2\nTRAX: 30037088B\nDATE:Feb. 2, 2007\nDATELINE: Hobbs, NM\n\nColt Benningfield, 16, pampers his hen he hopes to sell before the end of the evening at Tommy's Fight Club on Friday, Feb. 2, 2007.\nFor the first time since taking office, Gov. Bill Richardson is leading a charge to have the centuries-old sport banned. New Mexico is only one of two states (the other being Louisiana) with legalized cockfighting.